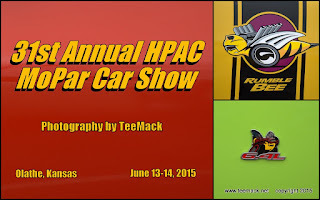 The annual HPAC MoPar Family Car Show was held at the Bass Pro parking lot in Olathe, Kansas on June 13-14, 2015. The annual event showcases Plymouth, Dodge, Chrysler, and AMC vehicles past and present. There were over 150 vehicles registered for the two day event. Click here to view photos of the event.